It’s Wednesday in Washington, which means another Test Update has been released for Dota 2. Unfortunately, there’s no new hero released on the front end of this patch, although the data miner Cyborgmatt feels that the materials and textures added in the back end point to the dragon riding Skywrath Mage being released next week. Instead, Valve has added an in game guide system. While there currently doesn’t appear to be a way to change off of the default build, the tabs suggest that players can create both item and skill build for the heroes of their choice, or load in guides created by other players. A new “Guide” tab has been added to the Learn menu, which will likely be the main way for players to access the builds created by other players. At the moment the tab merely shows the DotA 2 Workshop, and while this may just be a place holder it also raises the possibility that Dota 2 guides will be user moderated in a similar manner to the pre-existing Steam Guides, with players submitting their builds and then having them voted up or down by other gamers. 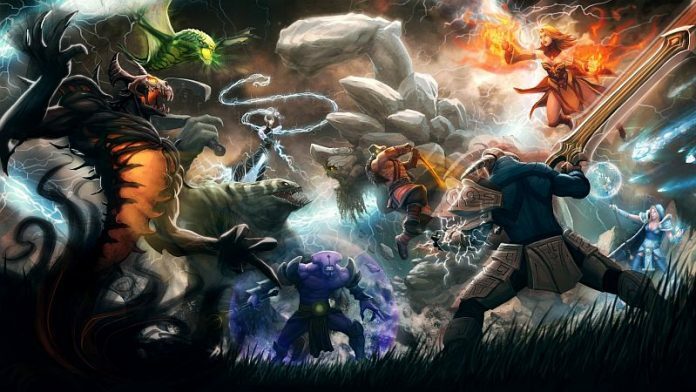 The update has also added onto the Team function of Dota 2, with players now able to join multiple teams and swap between them at will. This will be useful for players who want to join gag teams without losing their place in serious clans and will also allow professional players to take place in fun events like the Staff Cup with greater ease. In addition, the patch made some changes that will benefit shout-casters, namely giving them the ability to copy and paste data from the combat log and showing the screen locations of their co-casters. Previous articleIs There Any Reason to Be Impressed By the PS 4 Specs?